Homeowner ~ Your homeowner’s policy provides property and liability coverage for owner-occupied private residence. DWELLING ~ This covers the actual home structure and is the cornerstone of your home policy. This is the value you would receive to rebuild your home if it was a complete loss. OTHER STRUCTURES ~ Automatically included in your policy (typically 10% of your home value) which covers any buildings that are not attached to your home. This can be increased so buildings have adequate coverage. Other structures could include a stand alone garage, shop or storage building. PERSONAL PROPERTY ~ This is all of your stuff from your underwear and socks to the couch and trampoline. This would include anything that is not attached to your house (you wouldn’t take it if you moved such as carpet or your kitchen sink). Your deductible would apply if any of your personal property were damaged due to wind, hail, fire, etc. There are special value limitations on certain types of personal property such as money, jewelry, firearms, silverware or collectables. Ask your agent for the specific limitations so you can be sure you are properly protected in the event of a loss. You are able to schedule such items with their own deductible on most policies as special endorsements are available to increase the limitations. In that case, they would have open peril coverage which includes coverage for lost or stolen items that may not be covered if they were not scheduled. You should know if your property is covered with Replacement Cost Coverage or Actual Cash Value as well. REPLACEMENT COST ~ You receive the cost to actually replace your property. For example your new 60’ big screen tv that you paid $1200 for. You would receive $1200 to replace and get a new one of the same like kind and quality. ACTUAL CASH VALUE ~ If the TV was more than a year old and you wanted to sell it, you might get $800 for it. The insurance company is going to give you the actual cash value of what that tv cost in today’s world, not the amount to replace it. LOSS OF USE ~ Your insurance company will cover expenses of renting another home or apartment while your home is being rebuilt or fixed. This coverage helps with those expenses. LIABILITY ~ Covers you if someone is hurt by you or your property while they are on your land. LET’S SAY your dog bites the mailman or your friend falls down the step that came loose in the storm the other day that you hadn’t noticed. This coverage protects you. Auto ~ “Full Coverage” or “Liability only” is something we will ask when you call to add a vehicle but what does it mean? BODILY INJURY/PROPERTY DAMAGE ~ The State requires you to have bodily injury/property damage coverage and it can come in various increments. Liability coverage applies if you are in an accident and create damage or injuries to other people or property. It covers the cost of repairing the other person’s vehicle, any property damage and/or injuries you have caused. The state minimum in Iowa is $20,000/$40,000/$15,000. The standard limits most people choose are $100,000/$300,000/$100,000. However, higher limits are available and required if you have an umbrella policy. You should not have to pay a deductible if you need to use this coverage. LET’S SAY you are driving down the road in your 2 ton death machine in the winter and happen to glance down at your phone to check road conditions only to hit a slippery spot on the interstate and lose control. You hit a brand new pickup truck, a newer SUV, and 2 signs before stopping in the ditch. Your liability insurance will cover the damages up to $100,000. If the damage is over that amount, you then become responsible for that additional amount. You can now understand why the state minimum limits are too low with only $15,000 in property damage? If the occupants in the other vehicles are hurt, you have $100,000 per person in coverage for the medical bills and up to $300,000 per occurrence. UNINSURED and UNDERINSURED MOTORIST ~ This coverage protects you and your passengers if someone hits your vehicle and causes bodily injury to you or the other passengers in your vehicle. This coverage does nothing for your vehicle itself. It only covers the people inside the vehicle that have sustained injuries. The fact is, a lot of people drive without insurance or with state minimum limits so it’s an important coverage to have on your policy. LET’S SAY you have UM/UIM coverage of $100,000/$300,000 on your policy. You’re driving down the road with your child and 3 of their friends when you get t-boned by a driver who didn’t stop at a stop sign sending your vehicle flying through the air. All of you are transported to the hospital with serious injuries. The vehicle that hit you had state minimums which allows for $40,000 for all five of the passengers in your vehicle. The ambulance bills alone will be $20,000 not to mention the four night stay and surgery your passengers might require. Your underinsured motorist coverage will kick in to help cover the medical bills up to $300,000. FULL COVERAGE ~ Full coverage is a combination of comprehensive and collision coverage along with the required liability. *If you have a loan on your vehicle, this coverage is required. LET’S SAY that you’re parked on the street in front of a friend’s house, a storm comes through and blows a tree down on your car smashing it or there is hail with the storm; Comprehensive coverage would provide coverage to fix your vehicle once you satisfy your deductible. If the charge to repair the hail damage is $1,000 and you have a $250 comprehensive deductible, you would receive $750 from your insurance company to apply towards the repairs. 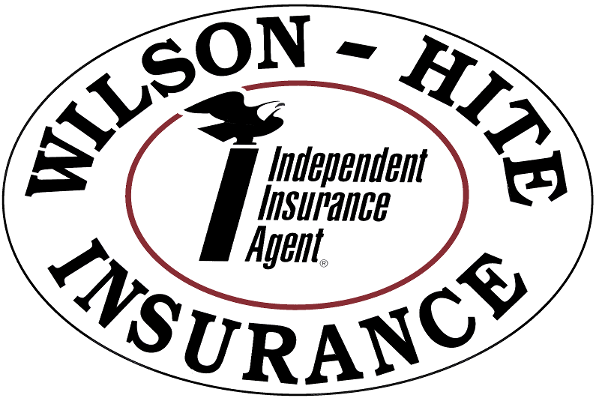 COLLISION COVERAGE ~ This is the coverage that covers any damage to YOUR vehicle whether you are at fault or someone without insurance hits you. Anything that you collide with is covered under collision. This coverage also has a deductible you must pay before the company kicks in. There are several deductible options you can choose from. LET’S SAY from the example above on the interstate where you lose control and have damage to your vehicle. This is the coverage you will want to fix your vehicle. The cost to repair your vehicle is $2,500 and you have a $500 deductible. You would receive a check from your insurance company for $2,000 to apply towards the repair bill. ROADSIDE ASSISTANCE ~ This is the coverage that helps cover towing costs or assists with a flat tire while traveling. It can usually be added to your policy for a minimal fee. RENTAL REIMBURSEMENT ~ If you are involved in an accident and your vehicle is no longer drivable, this coverage will allow you so much per day in a rental vehicle. This does not cover mechanical breakdown. GAP ~ Typically offered on new vehicles to pay the difference of the actual value of your car and the amount left on a loan or lease if your car is totaled. Umbrella ~ This is coverage that protects you above and beyond you auto and home policies. This is generally in million dollar increments. Personal Umbrella Policies are written to provide liability coverage as excess coverage over your home and auto policies and as additional coverage for certain situations. An umbrella policy would provide legal defense for lawsuits involving slander, libel and invasion of privacy that may not be covered under your homeowner policy. You may be required to carry a certain limit on your home and auto liability in order to qualify for an umbrella. LET’S SAY your teenage driver loses control of the vehicle and sends 4 passengers to the hospital by helicopter. Your auto policy is responsible and you have bodily injury limits of $500,000 or less – you’ll be glad you have an umbrella policy to cover expenses exceeding your auto policy’s bodily injury limit. Your recreational vehicles are used for just that ~ recreation. Taking it easy, having fun. But, be sure to have the right insurance coverage for your fun stuff. Similar to auto policies, most recreational vehicle policies have liability coverage and full coverage options. Guaranteed Value: meaning once you have established a value of your vehicle and it is agreed upon, in the event of a loss the agreed value is paid with no depreciation. Lower premiums: The insurance premiums for collector vehicles are generally lower than standard insurance. $0 deductible option: Payment for a loss is paid at first dollar of a loss. Roadside assistance with flatbed towing: Your collector vehicle is a valued asset and should be treated that way. Extra parts coverage: Coverage for extra parts that are not on the vehicle. Restoration coverage: You can insure your collector vehicle while it is in any stage of restoration. Repair shop of your choice: In the event of damage you can choose the repair shop you want to do the work or you can be paid to do it yourself. There are a wide range of coverages available including: vintage motorcycles, boats, tractors, firetrucks, military vehicles and collector memorabilia. Special insurance coverage designed for special needs. Rented Dwelling ~ Provides coverage for residential rental properties up to four units. DWELLING ~ This provides coverage for the dwelling, including structures attached to the dwelling at the described location. OTHER STRUCTURES ~ Provides coverage for structures that are on the same location but separated by clear space. This could include an unattached garage or storage building. PERSONAL PROPERTY ~ Covers personal property owned by the insured while used in occupancy of the dwelling. This could include equipment such as lawnmowers used to service the property. This coverage would not apply to a tenant’s personal property while they are renting the dwelling. FAIR RENTAL VALUE ~ Provides coverage for the fair rental value in the event the dwelling becomes uninhabitable due to an insured peril. LET’S SAY ~ the duplex you own is damaged by fire and the monthly rental value is $300 per unit. You would receive $600 per month until the units are repaired. LIABILITY ~ Covers you if someone is hurt while they are on your property and you are held liable. Concealed Carry Criminal Defense Reimbursement Bond ~ Provides reimbursement for costs of defense. Coverage provided by West Bend Mutual Insurance Company reimburses “permit holder” for reasonable legal fees, expenses and costs of defense up to the maximum of the bond limit. Click Here to be taken to application.